John S. Glover opened a wharf on Water St. in 1847, receiving shipments of coal and cement, along with maritime salvage. 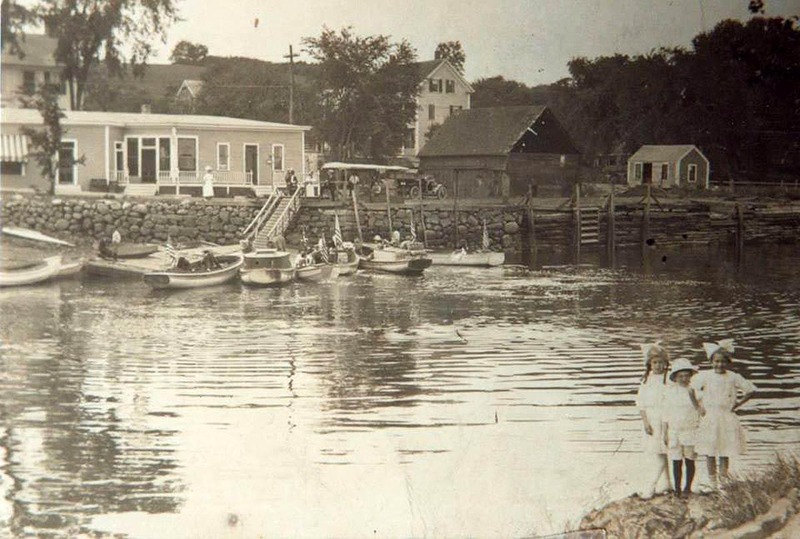 His wharf was a short distance from the home be built on East St. around 1872 across from the present-day Town Wharf, which was demolished recently. The business was sold to Charles Lovell in 1910. Many of the Glover family are buried at the South Burial Ground in Ipswich. 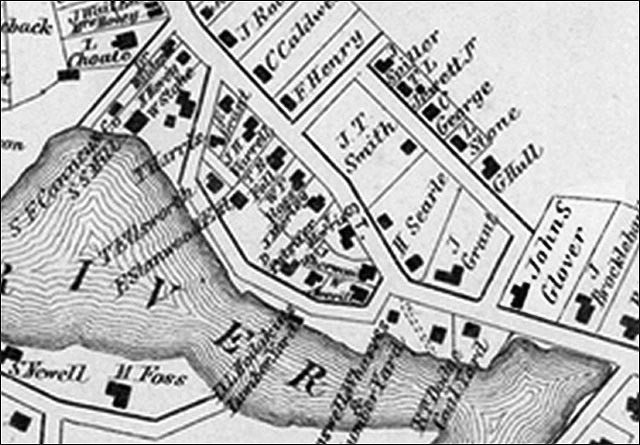 John S. Glover’s wharf was on Water St., and his house is on the right in this 1872 town directory and map. 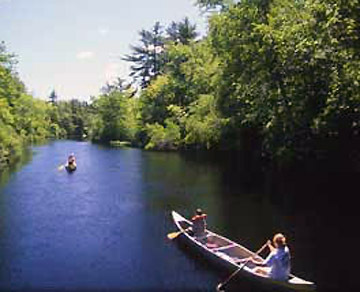 Glover’s Wharf is on the left, and Brown’s Wharf is on the right. 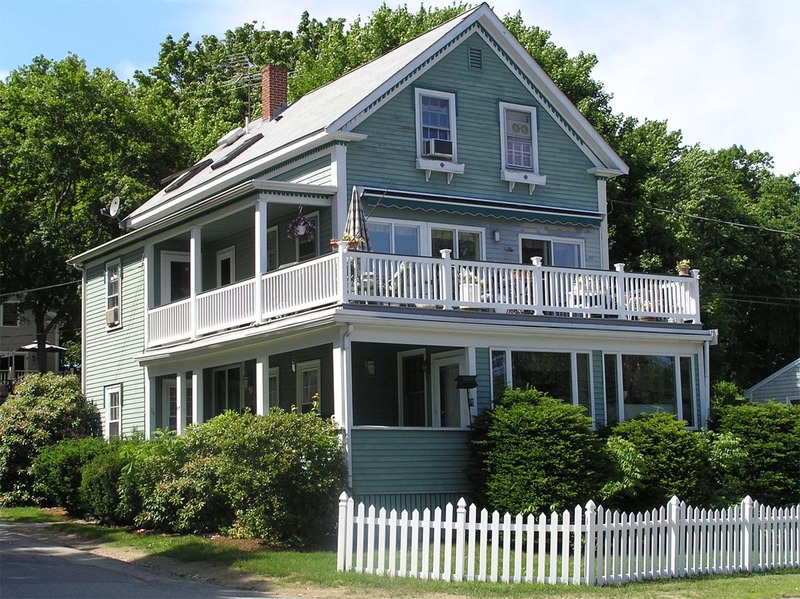 John C. Glover’s house at 64 East Street was demolished by the owners in 2016. 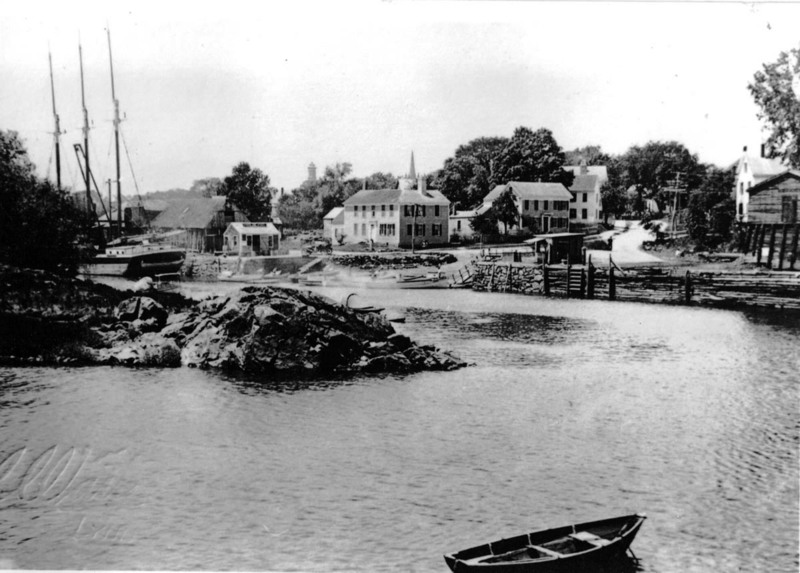 John Glover’s house is in the center of this view of the wharf. 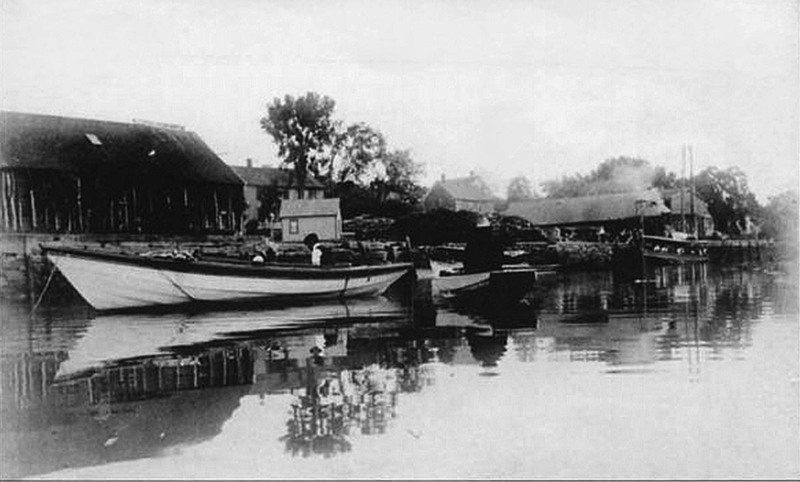 The steamer Carlotta launched from the building on the left. 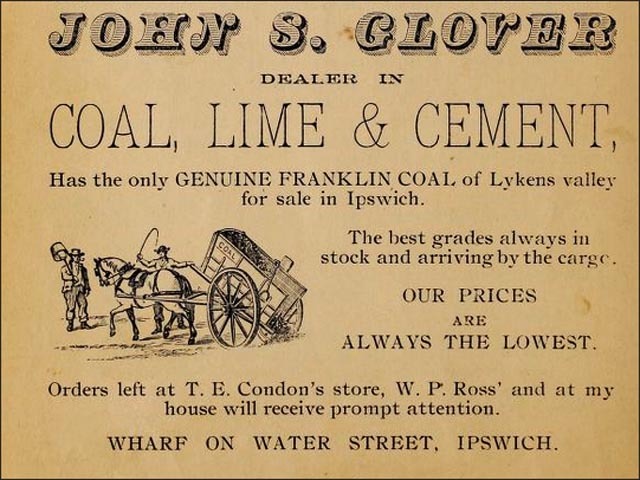 Advertisements of coal stoves appeared in the Ipswich Register in 1839, and the first full cargoes of coal began arriving at the wharves in the early forties. The use of coal was so little understood that David Harris brought home a large lump of coal he found on the beach near the wreck, put it in the fireplace and marveled that it would burn “no better than a stone. Delivering coal to Ipswich required avoiding the Ipswich Bar as the captain navigated the treacherous channel between Plum Island and Crane Beach. 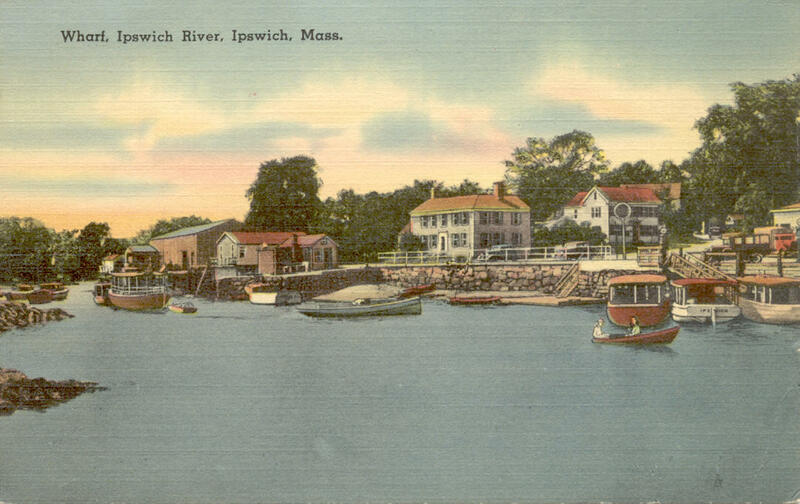 Imagine the sight of schooners laden with coal sailing up the narrow Ipswich River from Great Neck to the Town Wharf. Some ships never made it that far. 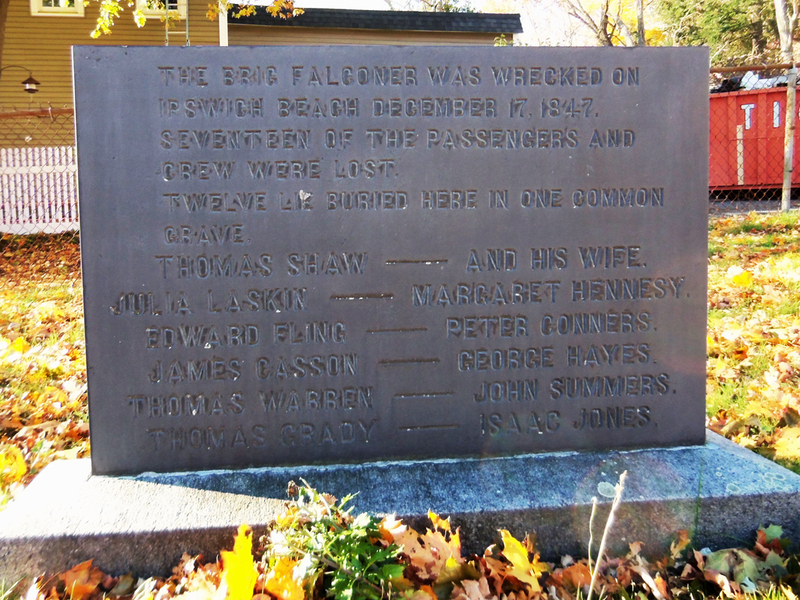 The Falconer wrecked at Crane Beach in 1847 with great loss of life. The bodies of 12 persons on that ship are buried under a single marker at the Old North Burying Ground. 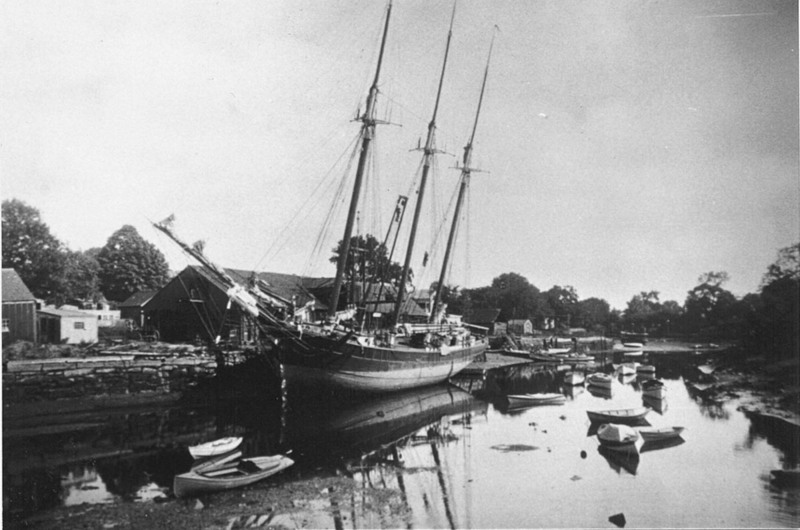 The three-masted schooner “Lucy M. Collins” was bound from New York for Ipswich with 240 tons of anthracite coal when it struck the Ipswich Bar on August 19, 1891 and took on water. 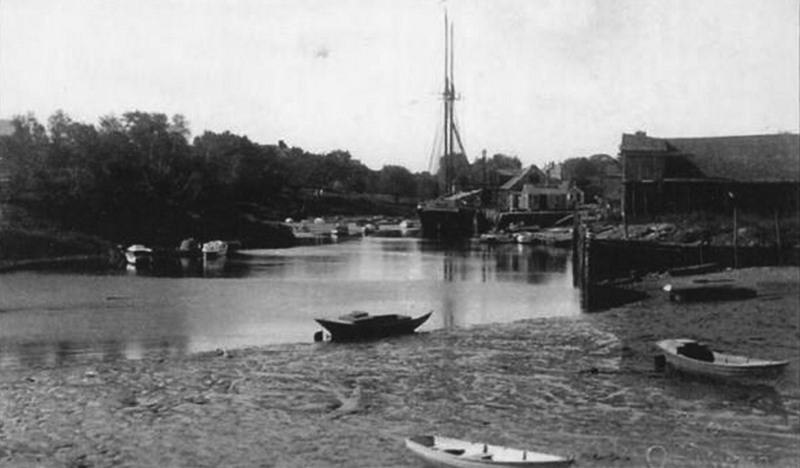 A Gloucester company salvaged the coal and the hull was left to sink into the Ipswich Bar where it remains today. Much of the coal still “lines the bottom” of the Ipswich River and washes up continuously on Crane Beach. Some of the coal continued to a large complex on Hammatt St., where it was used to produce coal gas. 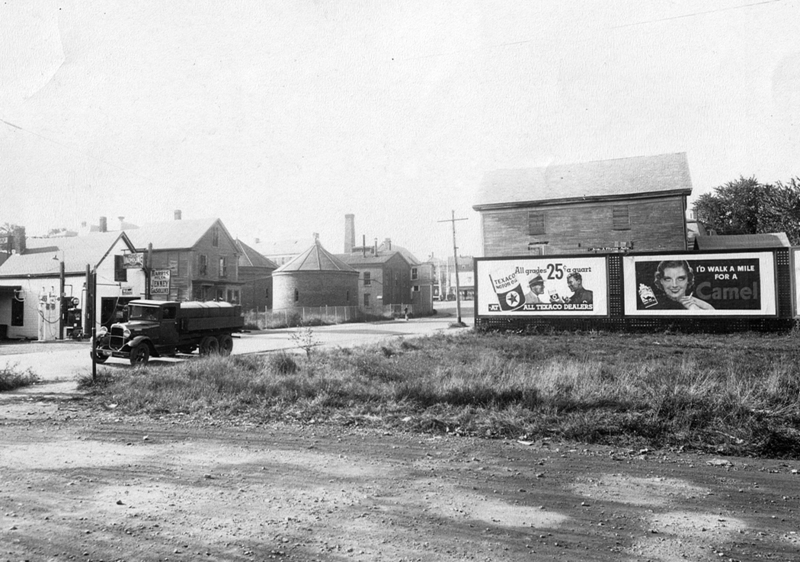 The coal gas facility was located near the intersection of Hammatt St. and Brown’s Square. An abandoned brick building still stands there today.